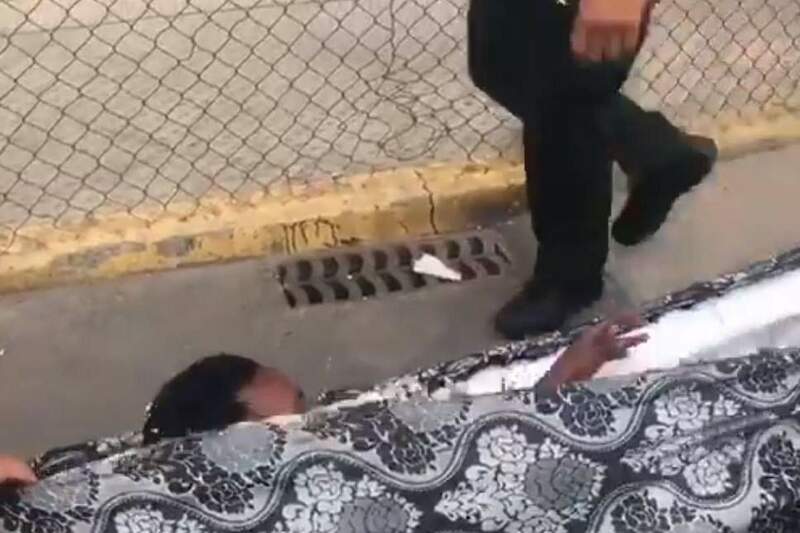 Two men try to cross Spain-Morocco border concealed inside mattresses - The Maghreb Times ! The video posted to Twitter on December 30, shows police removing two mattresses from the top of a vehicle in Melilla. They then use tools to cut the mattress to find the young men inside. According to El Periodico, the driver of the vehicle fled to Morocco. The men are in a good condition and do not require healthcare. Melilla is an enclave of Spain on the Moroccan coast and is a major gateway into Europe for migrants hoping to come to Europe from Africa. It is the first time that border force agents have discovered migrants using a mattress as a way of concealing themselves. Meanwhile in the UK, Home Secretary Sajid Javid has held talks with Whitehall chiefs, the National Crime Agency and Border Force officials to address the number of migrants crossing the English Channel. An “enhanced action plan” to be launched this week will include increased joint patrols and surveillance, disruption of organised trafficking gangs and efforts to raise awareness among migrants of the dangers of a Channel crossing.